The whole love triangle implodes...straight through Will's soul. *ahem* Nope, not biased at all. Anyway, Jem though oblivious is endearing as are much of the other characters. [I guess oblivious sums up the other two of this trio too, *cough cough* where do babies come from? *WTH*] Henry & Charlotte relationship balances wonderfully juxtaposed against theirs. Tessa's mystery unravels beautifully, the pace undulates keeping me on tenterhooks, and bringing many nights reading ending at sunrise. I kid you not! Even though I sped through pretty much all of it, I didn't find the sub plots or side characters annoying. They were wonderful detours off the main road. I particularly loved Brigit and her ballads. People complained about it being YA and 'scandalous' but really make out scenes to readers coming from fanfic background is quite tame. 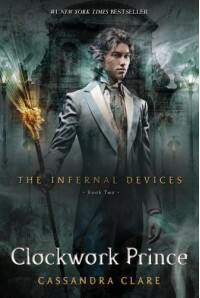 Excellent continuation of the Infernal Devices trilogy.